The dancer's skirt goes up when she spins. The skater spun around on the ice. A spin is a particular point of view, especially in the news. After the presidential debate, each party put its own spin on the results. A spin doctor is not a doctor at all. It’s a political or business operative who takes the facts of any situation and makes them look favorable for his interests. 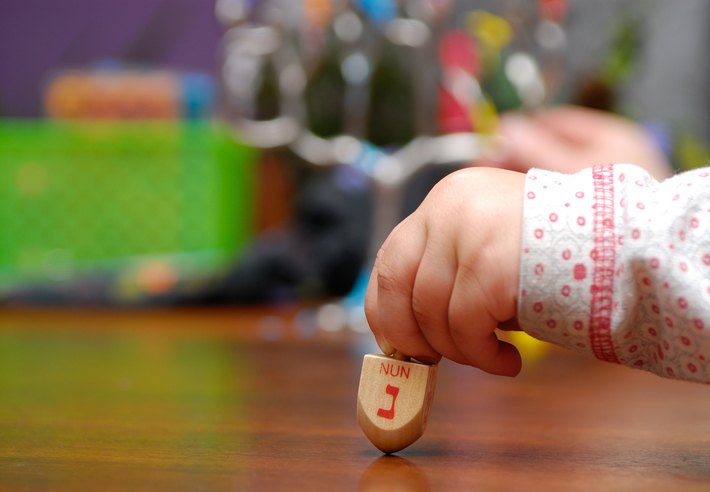 A dreidel is a four-sided spinning toy that children play with during the Jewish holiday of Hanukkah. Watch as 1000 people come together to set a new Guinness record for dreidel spinning. There are other meanings of spin.